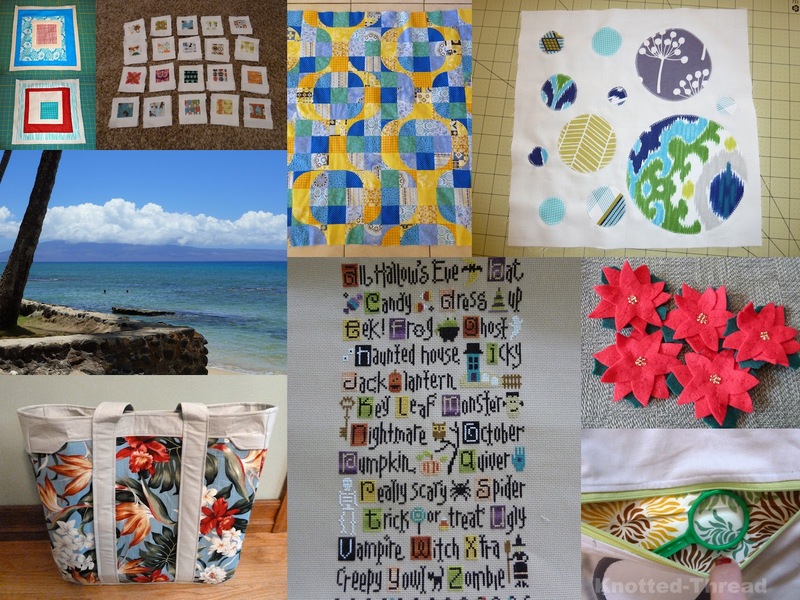 I'm linking up with Fresh Sewing Day! Fabulous accomplishments...especially during a move. Katy is too funny!! Busy, busy, looks like you've got a lot done this month. I especially like the Halloween ABC Sampler. beautiful makes and that sampler is just amazing!! I so wish I was in Hawaii and not rainy Manchester! Lovely makes you've got there - lovely fabrics used too! Oh yeah, "teachers get so much holidays!" *cough cough* In Australia our school year is different from America, with 3 x 2wk holidays throughout the year and then 6wks or so over Christmas/our summer. Of the 2 week holidays, you spend 1 week winding down/getting sick/in bed, and 1 week getting ready for the next term! ANYWAY! You got all this done with a move?!? Amazing! lots of nice projects! That's pretty cool, considering your move & all! love your circle block, it reminds me that I have one to work on myself.